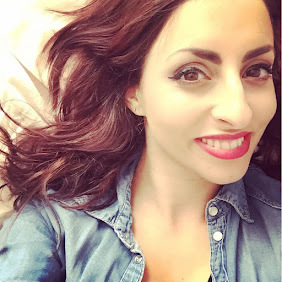 So some of you may have read my fashion trends post for SS15, I thought it would be great to do a beauty trends post for SS15 as beauty is just as important in my eyes. Here are some of the trends for Spring Summer 2015. So its all about eyeliner, from fine lines to thick dramatic looks. I love my eyeliner so was happy to hear this was a trend for the new season and I tend to play around with a subtle flick to a in your face flick depending on what mood I am in. However, with hot weather liner can be hard to keep on but I have found my holy grail Soap and Glory Cat Liner. As you may know already I am a bold lip kind of girl, I adore deep berry and bold bright pinks you name it I love it. This bold lip trend is all about making your lips stand out, if you arent keen on the berry lip for the summer days opt for a coral or pink that will add that pop of colour. I particularly love Girl About Town by MAC for a bright fun pink. Blue and when I say blue I mean bright blue was seen across the catwalks showcasing SS15. Blue liner on the top lash line and black on the bottom was popular, with some catwalks doing blue all over. Not sure I am a blue liner kind of girl but maybe I can smoke out some blue shadow on the edge of my eye. 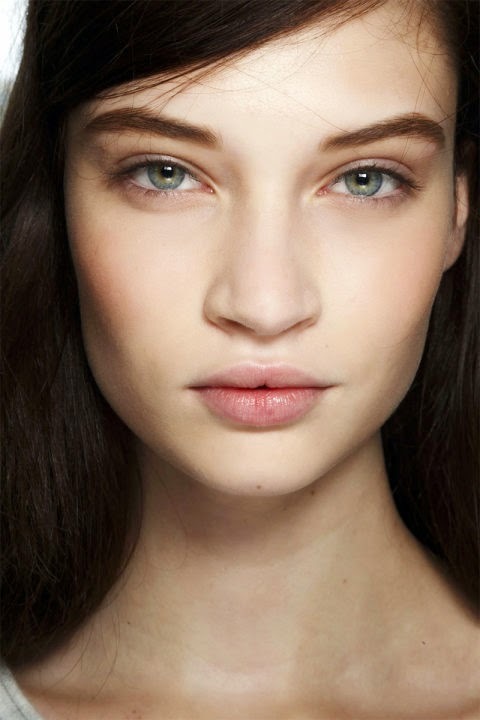 Think minimal, flawless skin, dewy complexion and no eye makeup. 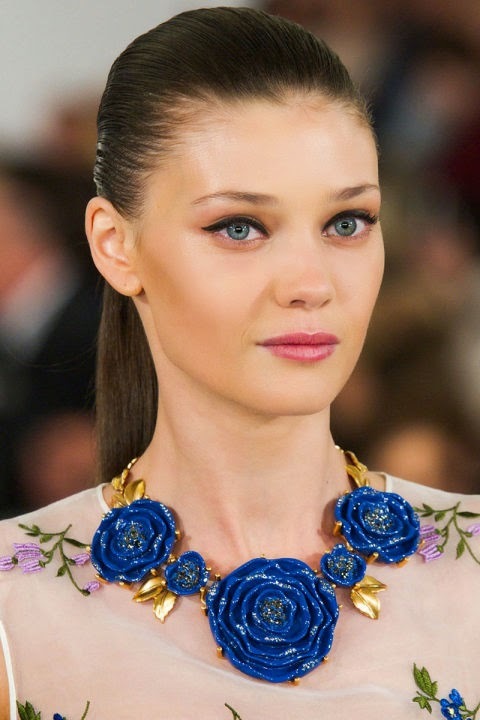 I do love this look, but it isn't for me as I definately need to look like I have makeup to look alive! I am quite self conscious without my mascara and liner. For those lucky enough to have that english rose appearance or natural beauty this is the look for you. 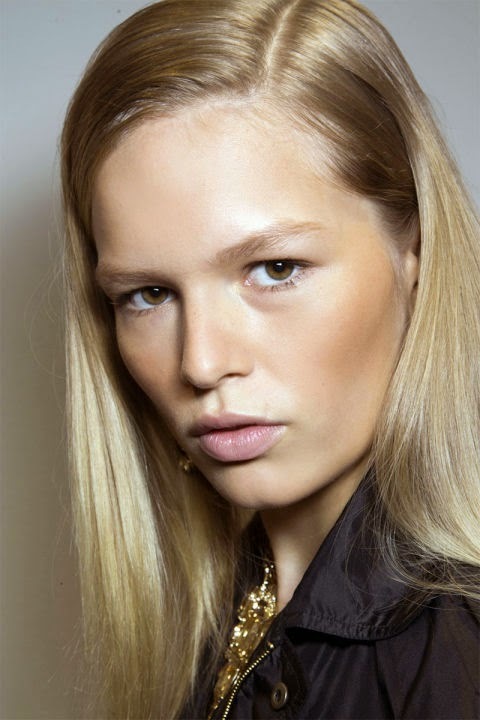 Or if you want a more bronzed natural look then maybe the bronzed goddess trend for SS15 as below is more your look. In spring/summer I tend to opt for less makeup, so smokey eye is only an evening look, but for this SS15 the smokey eye is a daytime feature too which sounds fab! What I love about this seasons beauty trends is that there are loads to choose from, so if you love minimal its featured, if you love colour its featured. I adore smokey eyes so will be showcasing this look as much as possible. 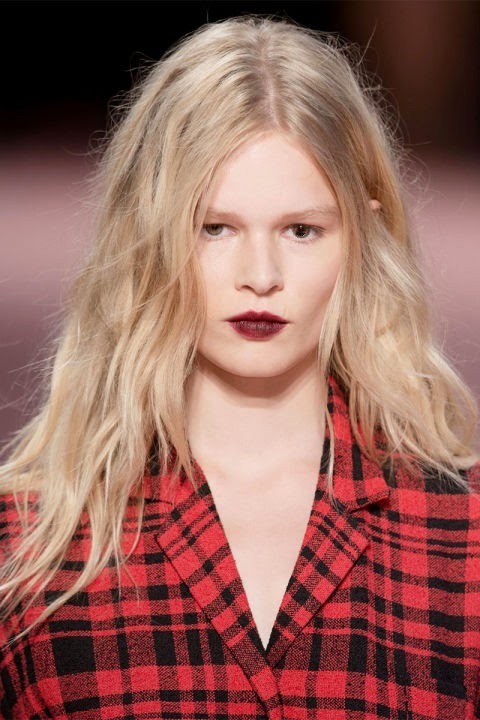 Love the bold lip trend, so excited to play around with it this coming season!